Heather Prendergast, RVT, CVPM, SPHR, has been in the veterinary industry for more than 26 years, working in small animal practice, as a consultant, and now as an educational development specialist for Patterson Veterinary. She authored the book Front Office Management for the Veterinary Team and lectures nationally on practice management and veterinary nurse-related initiatives. FUN FACT: Heather drives a customized Harley Davidson Fat Boy when time allows. Live and breathe the practice’s mission, vision, and core values (MVVs) that help the practice achieve its goals. Every decision a team member makes for clients and patients should uphold the MVVs. 51% of team training/CE in well-managed practices is focused on building technical skills and knowledge. SOURCE: Benchmarks 2017: A Study of Well-Managed Practices. Columbus, OH: WMPB; 2017:51. Veterinary medicine is a service-oriented industry and every client must be satisfied with every team member’s performance every time. Team members who can positively communicate with and educate clients drive client satisfaction. Always address client conflicts immediately by stopping and listening to their concern. Put yourself in the client’s shoes so you can better understand the event that caused the conflict. Are your words professional? Is your voice warm and welcoming or cold and condescending? Is your appearance professional or frumpy? Are you a glass-half-empty or glass-half-full person? Check the practice security cameras to see the impression you make. If the practice does not use a security camera, use a mobile camera (eg, GoPro, smartphone). Are you motivated to learn new concepts and apply them to the practice? Think hard before answering. Team members often say they are motivated, but when new practice systems are implemented, the most common response is, We have done it this way for years. Why do we have to change? It is not the practice’s role to push team members to improve. Take the first step yourself; for example, consider taking your career to the next level and become credentialed or specialized. Become a lifelong learner and enhance your value to the practice. A team member who acts professionally, speaks with a positive tone of voice, carries him- or herself with confidence, and is willing to take extra time to educate other team members and clients is exhibiting a positive influential personality. However, personality also can have negative outcomes that affect team culture. Focus on being a positive influence, which will be contagious and lead to a positive team culture. A strong work ethic is based on hard work and diligence and includes being reliable and accountable, showing initiative, and pursuing new skills. A team member with a strong work ethic has motivation, passion, and ambition. A mediocre work ethic is never acceptable. Resilience means adapting positively to adversity, trauma, tragedy, threats, or significant stresses, and bouncing back from those difficult experiences.3 Consider your response to adversity at work, including constructive coaching and difficult clients. 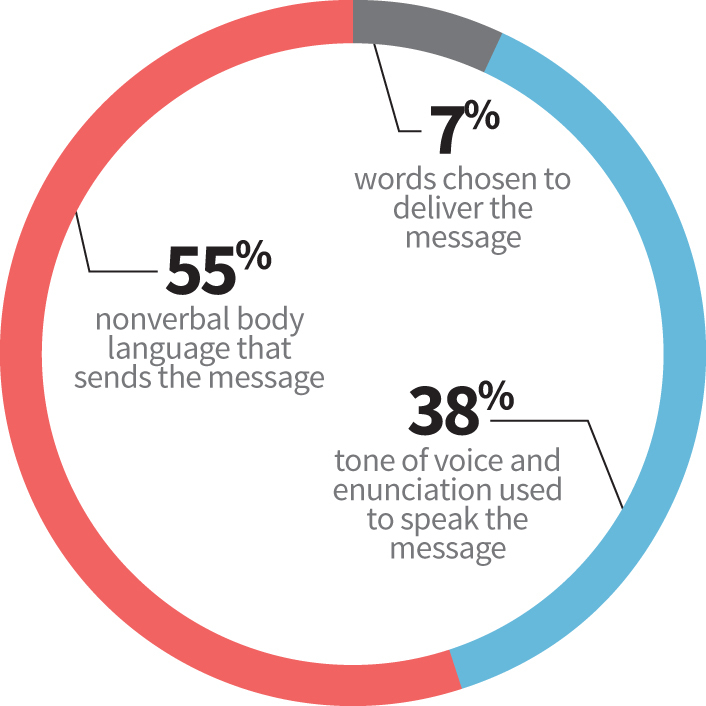 Does your nonverbal communication suggest you are angry, in a bad mood, or offended? A resilient team member accepts adversity, builds a positive response, and implements change. Resilience builds confidence and improves communication and problem-solving skills. Respect does not mean sharing gossip—respect means being the team member who stops the gossip. Only talk positively about other team members and never talk about clients to other clients. A team member who gossips is a toxic individual who creates a toxic workplace. How well someone listens often dictates the outcome of the message. Team members often finish others’ sentences, anticipate the next question, or have preconceived ideas about the topic of conversation, resulting in misunderstandings, assumptions, and, sometimes, intense conflict. Good listeners pay full attention to whomever is speaking, make eye contact, and ignore preconceived thoughts and opinions. Watching for the speaker’s nonverbal cues is as important as listening to the words being spoken. 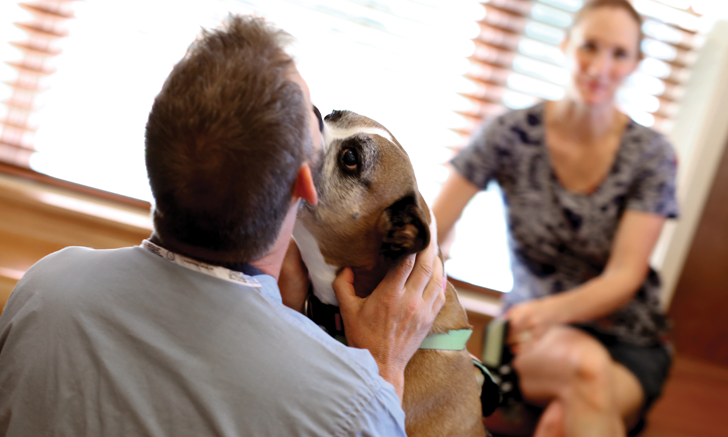 Most veterinary professionals love making life better for their clients and patients. Going beyond the technical skills and acquiring these nontechnical skills will enhance not only team member relationships and client and patient care but also a team member’s value to the practice as a whole. Prendergast, H. Front Office Management for the Veterinary Team. 2nd ed. St. Louis, MO: Elsevier; 2015. Three parts of a message. Conversation Peace. http://www.conversation-peace.com/downloads/Tongue-Tonics-Sample.pdf. Accessed March 2018. The road to resilience. American Psychological Association. http://www.apa.org/helpcenter/road-resilience.aspx. Accessed March 2018.